One of the first steps in the home buying process is getting qualified for a home loan from a mortgage company. After submitting a loan request we will get you a loan pre-approval letter. Getting pre-qualified is very pragmatic because it lets you know how much you can spend on a home purchase and shows the seller that you are a prudent buyer when you have already received a home loan pre-approval. According to Pat O'Connell of VIP Mortgage, "It lets the sellers and agents know that you mean business." The bottom line is that most sellers won't take your bid seriously if you haven't been pre-approved for a home loan from a financial institution. Get Pre-Approved for a Mortgage Online in Minutes! MLQ lenders are equipped to help home buyers with affordable financing without breaking the bank. Our agents will help you get pre-qualified for a home loan that meets your needs. MLQ has been helping renters become homeowners for over a decade. Our lenders specialize in affordable loans for first time home buyers in all 50 states. We recommend requesting a pre-approval letter prior to submitting bids on house. It is really important to understand how much a bank is willing to lend you before committing to buy a property. Get Pre-Approved for a Home Loan from Banks and Lenders in Your Neighborhood! Our job is to connect you with companies that will streamline the loan process cost effectively. 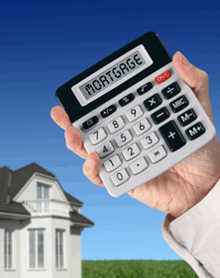 You choose the loan company that gets you a pre-approved home loan according to your criteria. Participating MLQ lenders offer pre-approval letters to qualified applicants. Consumers may be eligible for discounted lending programs. Home mortgages are approved based on credit, income and the underwriters' assessment of your risk factor.